Our Interactive Environments and Resource Centre are designed to enable practitioners to see examples of continuous provision, look at new resources and be inspired by examples of children’s work. 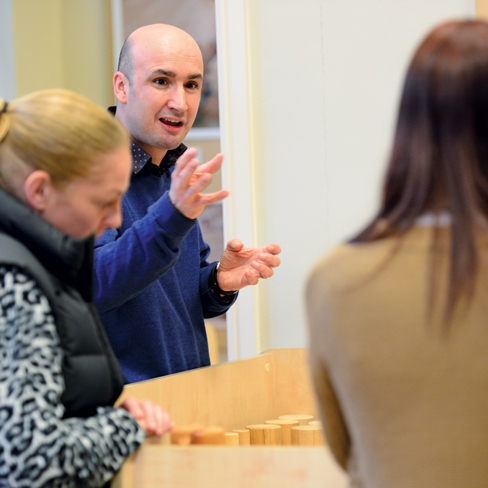 A Learning Walk is a guided tour of our Interactive Environment led by one of our curriculum consultants. This 45 minute session will focus on key aspects of an enabling environment and the principles of working with effective continuous provision in Early Years and through Key Stage One. You will gain practical advice and support regarding aspects of your own provision and practice: when booking, do let us know if you have a particular area of development that you wish to plan for. Refreshments are included.